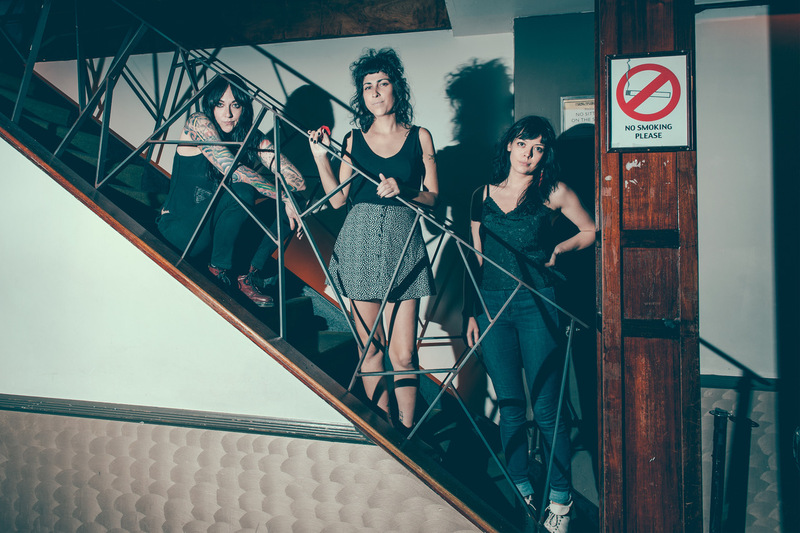 When The Coathangers first stormed on the scene over a decade ago, their power resided in their ability to craft a crooked hook out of a grimy guitar line, a delightfully crass chorus, or an enticingly ham-fisted drum-and-bass groove. With each successive album, the Atlanta garage punk ensemble has increasingly tempered their brash charm with sharp-witted pop. Not that the band ever fully excised the primal howl of The Gories or the sparse strut of ESG, but with the trio’s latest EP, Parasite, The Coathangers explore the space between their initial unbridled expressionism and their recent nuanced song craft. “I’d like to think the EP takes you on a journey through the band’s existence,” says guitarist/vocalist Julia Kugel of the sequencing of the five songs on their latest offering. 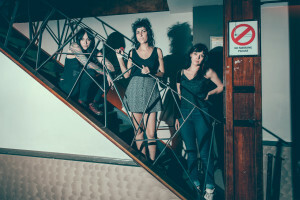 Parasite’s cover features an illustration of The Coathangers as sirens of the sea, an image that aptly captures the nautical themes of the EP. But the notion of The Coathangers as both mischievous and enchanting is certainly fitting too, as is evident in the alternately piercing and beguiling tracks on their latest EP. Suicide Squeeze is proud to offer Parasite as a one-sided 12” on Sea Green vinyl with a b-side etching with an initial limited pressing of 2000 copies. The EP is also available digitally. Parasite is available worldwide on June 30th, 2017.